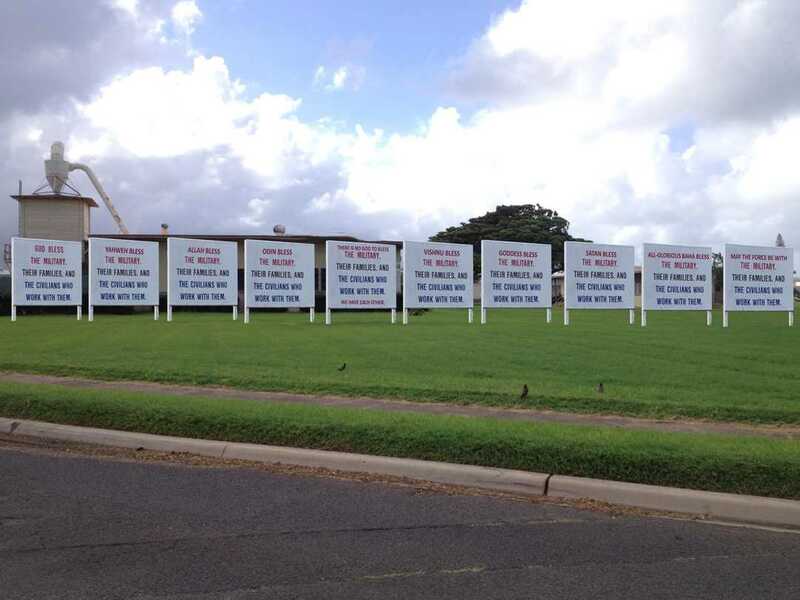 KANEOHE, Hawaii — A group the seeks to separate God from the military is demanding that additional boards be created and erected near a sign that asks God’s blessing on the Armed Forces after a Marine Corps base in Hawaii refused to relocate or remove the display. After deliberating the matter, Killeen sent a reply to MRFF refusing to relocate or remove the sign. In response, MRFF is demanding that nine other signs be erected next to the existing board, reflecting various other religions from around the world. It says that it had already suggested six previously and was adding another three. “On behalf of MRFF’s Church of Satan clients under your command, our clients demand the immediate right to build and display the religious message board appearing in the pictures below which starts with the words ‘Satan Bless,'” wrote President Mikey Weinstein. “Colonel, please reply to this demand of MRFF’s Church of Satan, Bahá’í Faith and Jedi Church U.S. Marine clients who are under your direct command at MCB Hawaii at your earliest opportunity, sir,” he wrote in Monday’s correspondence. It is not known whether Killeen plans to respond to the demand.